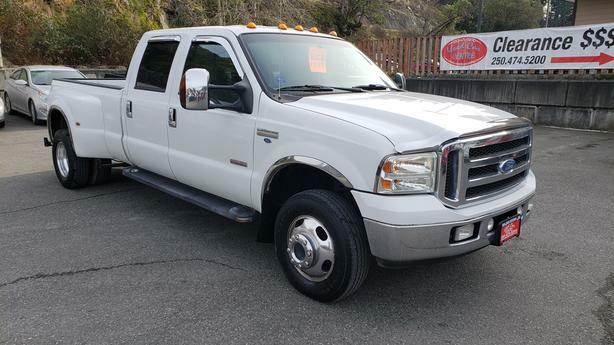 2005 Ford F350 XLT Crew cab diesel dually truck. White with tan cloth interior. Automatic. 6.0L Diesel engine. Only 153,571 KMs! Power windows, locks, and mirrors. Cruise control. A/C. AM/FM/CD stereo. Built in brake controller. Great shape inside and out, with super low KM's! This truck will not last long!